Fully furnished one bedroom apartment for rent in Prague. Feeling at home with the comfort of a hotel , is living in Albertov Rental Apartments. Comfortable wooden floors with underfloor heating, designer furniture, high quality lighting and a comfortable couch set. All of this can be found in this cozy apartment for rent. High quality and functionality in every respect. Large windows bring in the interior of the apartment freshness and brightness. The large living room is optically divided into different zones: a relaxation area, dining area and a fully equipped kitchen. For more ample space the apartment is equipped with a practical foldaway bed with a comfortable anatomical mattress. The possibility of watching television from the comfort of the bed is another advantage. Fully equipped kitchen is furnished with modern appliances: glass -ceramic hob, extractor hood, electric oven, microwave, dishwasher, and refrigerator . Air conditioning located in the apartment will be appreciated during the hot summer months. Spacious bathroom with a comfortable underfloor heating is equipped with a shower stall, toilet, and sink with LED lighting . 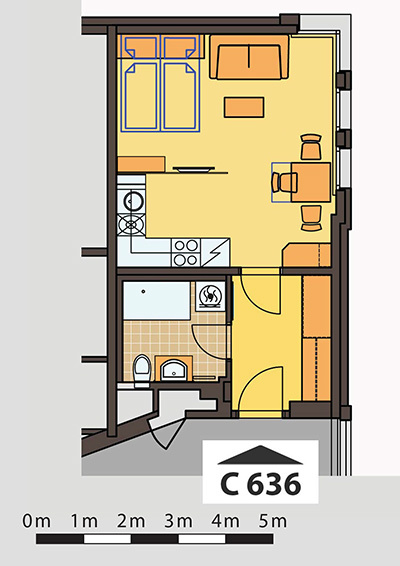 Plenty of storage space will provide built-in cabinets that located in the hallway of the apartment. 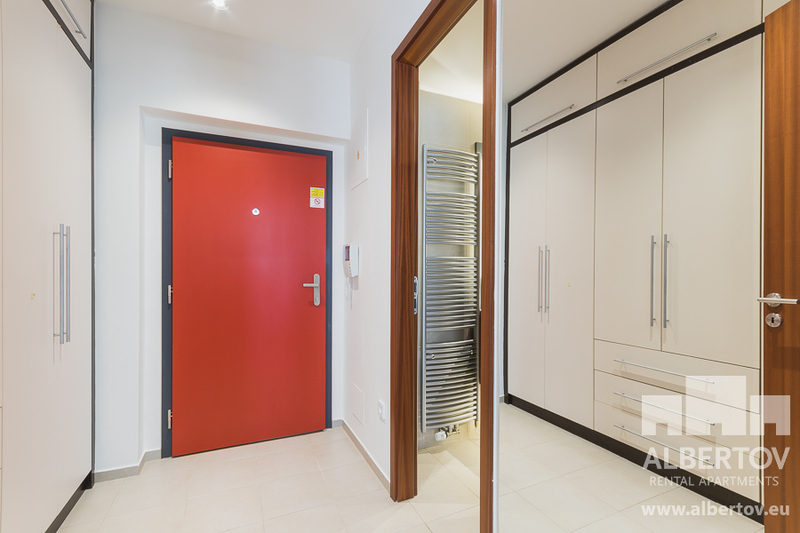 The apartment is located on the 6th floor of the building in an enclosed residential complex of six rental buildings in a quiet area below the Vysehrad hrad, near the city center. 8 minutes by tram from Vaclavske Namesti, tram stop is located directly in front of our complex, Albertov Rental Apartments. Shopping opportunities are also located in the area . Convenience, comfort, privacy, is living in Albertov Rental Apartments. Say goodbye to hotels, and come live with us.